A single snap of a selfie may have exonerated a Texas man from spending the rest of his life in jail had he been convicted of the felony his attorney said he was falsely accused of committing. Williamson County resident Cristopher "CJ" Precopia, 21, was arrested and slapped with a felony burglary charge after his ex-girlfriend accused him of breaking into her home and attacking her, carving an "X" onto her skin, his lawyer, Rick Flores, told ABC News. CJ Precopia was at his job at the lumber yard on Sept. 22, 2017, when officers from the Temple County Police Department showed up and announced they had a warrant for his arrest, Flores said. When CJ Precopia questioned what he was being arrested for, police officers said "something along the lines of, 'Don't act like you don't know what we're talking about,'" Flores said. 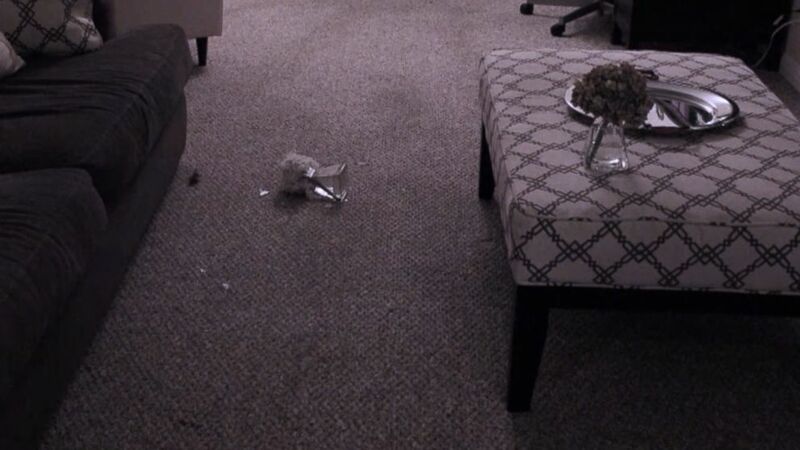 CJ Precopia told ABC Austin affiliate KVUE that he hopes "something like this doesn't happen to anyone else." An affidavit for arrest filed in Bell County states that two days earlier, the Temple Police Department "received a report of an assault with weapons." When an officer arrived to the home, he "observed damage to the handle of the front screen door," and was told by the victim that Precopia "came towards her in an aggressive manner and pushed her to the ground, punched her in the face and cut her with a box cutter," the document stated. The officer also wrote in the arrest affidavit that he observed cuts and injuries to the victim's face and hands, which he said were likely made by a box cutter. 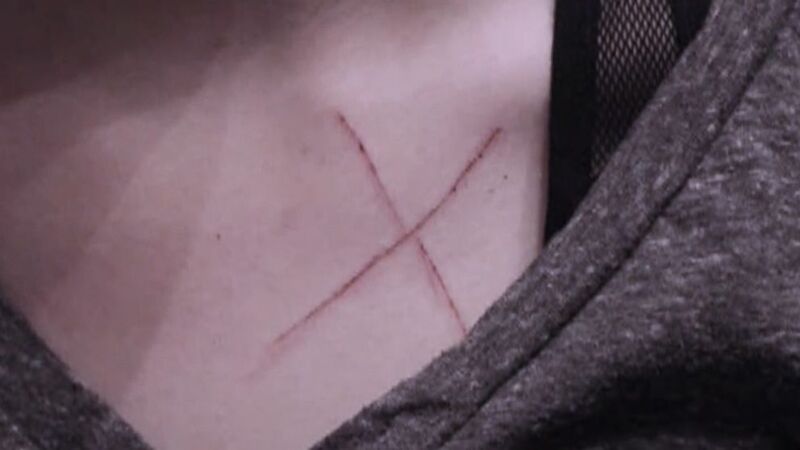 The woman accused CJ Precopia of carving an "X" into her chest and cutting her face. CJ Precopia was also accused of carving an "X" onto the chest of his ex-girlfriend during the alleged attack, his lawyer, Rick Flores, told ABC News. In a handwritten statement to police obtained by ABC Austin affiliate KVUE, the woman wrote, "I could hear the slices being made and it stung a lot." She then wrote that after she wiggled away to grab her Taser, "he was gone." CJ Precopia was charged with first-degree felony burglary of a habitation with intent to commit additional felonies, the police affidavit showed. The offense was punishable by up to 99 years if convicted, Flores said. However, CJ Precopia hadn't had contact with his ex in more than two years and was "totally stunned" by the allegations, according to Flores. He didn't even know where she lived at the time, Flores added. The two dated for about six weeks while CJ Precopia was a 17-year-old high school senior and she was a 15-year-old sophomore, his mother, Erin Precopia told ABC News, adding that the breakup was not amicable. But, the mother said when she discovered the date and time the woman was alleging the crime occurred: Sept. 20, 2017, around 7:20 p.m., a lightbulb went off in her head. 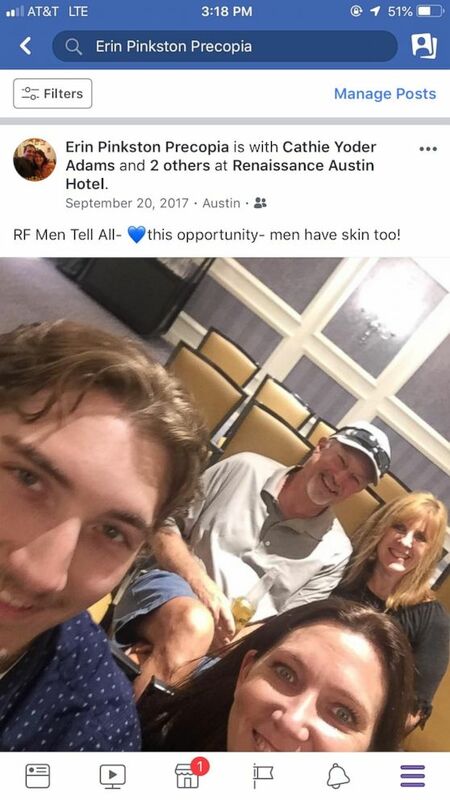 She said at that same time, Erin and CJ Precopia were at the Renaissance Austin Hotel, about 70 miles away from Bell County, for a Rodan + Fields event, "Men Tell All," and they had the evidence to prove it. Erin Precopia remembered a selfie she took with her son and two friends that night and posted to Facebook minutes later. The metadata for the photo showed that it was taken at 7:02 p.m., which a forensic expert hired by the Bell County Prosecutor's Office confirmed, Flores said. CJ Henderson was exonerated from a burglary crime his ex-girlfriend accused him of because of a selfie he took with his mom on Sept. 20, 2017 at the same time the woman said she attacked him. The mother and son also provided screenshots from text messages showing that Erin Precopia was going to pick him up around "6:10ish" p.m. that night as evidence, and the two were located inside the hotel ballroom until about midnight, pings from cell towers showed, according to Flores. In addition, they interacted with more than a dozen people, some of whom provided sworn affidavits to prosecutors, Flores said. On June 21 of this year, the Bell County Prosecutor's Office dismissed the case "in the interest of justice," court documents showed. The Bell County District Attorney's Office decided to dismiss the case after "new information provided by the defense counsel," which included the selfie, was independently verified and corroborated, Assistant District Attorney Stephanie Newell told ABC News. But, the dismissal of the case did not eliminate the repercussions CJ Precopia faced due to what Erin Precopia and Flores characterized as a false accusation. CJ Precopia's parents paid the 10 percent in cash of his $150,000 bail and racked up another $100,000 in attorney fees, Flores said. For nine months, CJ Precopia had to check in with a bail bondsman once a week, his mother said. "He's not the same kid that he was a year and a half ago, which breaks my heart," Erin Precopia said, adding that the arrest has severely affected his "psyche." 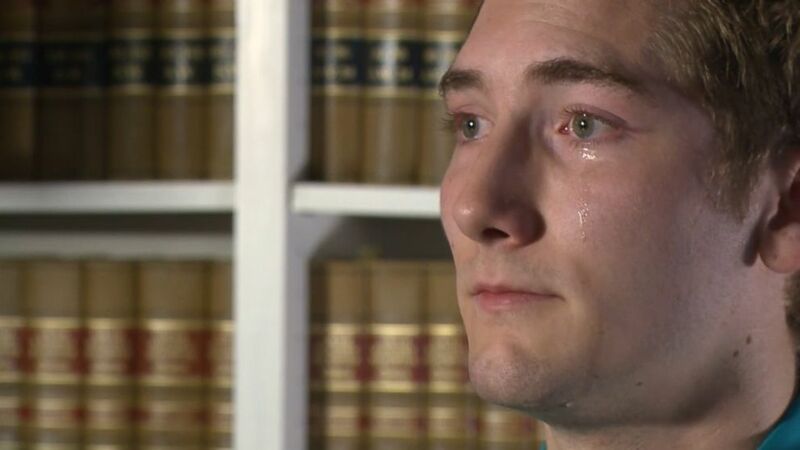 He told KVUE, "I was constantly fearful as to what could happen the next day. I was going to sleep hoping I wouldn't wake up." The Bell County District Attorney's Office has agreed to expedite the expungement for the records in the case, Flores said, who noted that when CJ Precopia attempted to enlist in the U.S. Army in the spring, he was denied due to the violent nature of his alleged offense, Flores said. The family has not heard from CJ Precopia's accuser, Flores said, adding that he believes "she staged it all," including smashing a vase and throwing items around the home to make it look like there was a struggle, as well as the "X" carved into her chest, which he believed was too clean-cut to have been done during a struggle. "It's just preposterous to think that somebody with such anger, and then somebody on the other side fighting back, and there's a struggle, that the wound would look like that," Flores said. "It's just crazy." CJ Precopia's ex-girlfriend accused him of knocking over a vase and other items in his living room during an apparent attack, his lawyer, Rick Flores, told ABC News. The evidence of Precopia's whereabouts the evening of the alleged attack that Flores provided to prosecutors has been forwarded to the investigating agency, the Temple Police Department, which will then be reviewed by the Bell County Attorney's Office, Newell said. In a statement to KVUE, Bell County District Attorney Henry Garza said, "We are always willing to listen and examine new information, and that’s exactly what we did in this case." ABC News could not immediately reach a spokesperson for the Temple Police Department for comment. ABC News' Jennifer Leong contributed to this report.